Sound art is a branch of contemporary art that is both visual and auditory. This hybrid art form opens up for collaboration on many levels and is interesting to explore – particularly from a Latvian-Danish bilateral point of view. Sound art is becoming more and more of a buzz word in today’s world of culture. But what is the exact meaning of this fluent term and what impact does the concept have on the traditional perception of music and visual art as two separate disciplines? Finally, why and how is the notion of sound art interesting to explore in the intercultural meeting of Danish and Baltic culture? It could be tempting to understand the concept of sound art as the basic meaning of the word – art made of sound. However, the concept is not as simple as that. Sound art is an interdisciplinary branch of contemporary art where sound is serving as the medium as well as the source of the work of art. The purpose of sound art is to fuse sound and space. The sound can be of acoustic, electronic or an entire different type of music as well as environmental and other kinds of non-musical sound. The engaging objects of art can be film, sculpture, the human body and other kinds of contemporary art subjects. Because of its versatile nature, there is an ongoing discussion about which artistic box, sound art goes into; because of its sonic qualities some theorists place sound art under the notion of experimental music, while others qualifies sound art as belonging to the visual art. But the question is, if it is even relevant to define sound art as belonging to exclusively to one of the artistic categories? Maybe sound art really is a hybrid product of the experimenting tendency seen in contemporary art and should be treated as such and therefore not put into a single box but looked upon as belonging to them all. This approach is the one seen in both Latvia and Denmark, where there are several platforms working exactly with the concept of sound art as a mixture between visual and sonic art. Throughout many years, the field of sound art has been a key area for collaboration between Denmark and Latvia. Through a period of four years, the Danish sound artist and composer Jacob Kirkegaard visited Latvia on several occasions. In 2008 his work Labyrinthitis was presented as the Danish contribution to the Museum Night in Riga. The title Labyrinthitis refers to the medical term for the syndrome caused by a disorder in the maze of the inner ear, affecting the spatial navigation and balance control. Under normal circumstances, it is impossible for humans to hear the sounds of one’s own ears, but this fact was challenged by Jacob Kirkegaard. In June 2007, he recorded the sounds of the inside of his ears, in an anechoic chamber at the Centre for Applied Hearing Research at DTU (Technical University of Denmark). Through ultra-small loudspeakers, tones of different frequencies were sent into the ears of Jacob Kirkegaard and as the basilar membrane in the cochlea was stimulated, his ears started to generate tones. These tones and the process that produced them constitute the basic components of Labyrinthitis. The listener is part of an interactive concert where hers/his own ears react on the tones that are played. The room is transformed into a resonating labyrinth made out of sounds. Another Latvian-Danish sound art collaboration is the co-curating of two sound art installations by Voldemārs Johansons and Christian Skjødt in 2015. The Danish Cultural Institute commissioned two sound art installations by Danish artist Christian Skjødt and Latvian artist Voldemārs Johansons on the occasion of the 25th anniversary of the Danish Cultural Institute in Latvia. In the winter of 2015, Johansons travelled to the Faroe Islands to record the powerful ocean storms of the Northern Sea. These recordings resulted in the visual and sonic installation Monument to the Ocean Storm. The project offers a truthful experience of ocean storms by placing the audience ‘in the middle of the storm’. Skjødt’s installation interpreted a piece by the Danish composer Carl Nielsen on occasion of Nielsen’s 150 years birthday. The installation splits a recording of Nielsen’s string quartet in F-mol (op. 5) for the audience to ‘step into’ the music piece by Carl Nielsen. Nielsen brought Danish music into the 20th century and Skjødt and the Danish Cultural Institute brought Nielsen and his interpretation of Danish music into the 21st century. As part of the sound art festival SKAN II in 2014, Christian Skjødt, in collaboration with Skaņu Mežs– which I will return to later – created a site specific installation for the 18th century wine cellar in the botanical garden of Riga – ILLUMINATION. ILLUMINATION worked as a responsive environment. It consisted of a series of autonomous analogue systems that operate and execute the auditive translations. In Skjødt’s installatory pieces, inspiration from nature serves as crucial quality. Guidelines of natural forces and organisms operate independent from human intentions, while they catalyze and affect the behavior of the sonic architecture itself. The work examined the translation of the outer circumstances, harvesting the energy from the sun, and bringing this into the cellar in the form of sound. Here, the sound was spatialized. Due to the weather conditions of the particular day, the installation and experience in the space was constantly changing during the exhibition period. The works mentioned above are all examples of how sound art is used as art installations and are therefore examples of the approach to sound art as part of the visual art branch of contemporary art. But there are also examples where sound art is object to the other theoretical approach – where it is seen as being part of sonic art. In this approach, the sound art is taken out of its exhibition frame – out of the museum as constellation – and is brought in to the music scene as part of the music performance of a concert. This is the practice of two music platforms –Skaņu Mežs in Latvia and RADAR in Denmark. I have had a talk with Martin Aagaard, project coordinator at RADAR – a music establishment that embraces the diversity of musical genres and rethinks the format of the concert as musical platform – about sound art and his experiences with this mixed art form. Martin Aagaard has several years of experience in the music business and has in the past years worked with RADAR and paid significant attention to the combination of sound art and music – and the possibilities this crossing opens up. RADAR works around the crossfield between these art forms and the musical territory in order to challenge the conventional concert format. Combining sound art with concerts at music establishments is not very common in Denmark and sound art is more often seen at exhibitions at museums than as part of the setting of concerts. These two platforms are sharply separated – a concert is one thing while sound art is a completely different one. This division is one that Martin Aagaard wants to reduce by combining sound art installations with music, which is why RADAR is focusing on changing the traditional concept of concerts. By contributing a more installatory element to their concerts, RADAR wishes to influence on the way artists, technicians and the audience think of the concert constellation. They include many elements in their concert setups which include both the location of the stage, the light, and many other objects – the goal is to embrace the entire venue in a narrative dramaturgy. It is a concept where every element is included in order to create a more sensuous and completed concert experience. The concert should be like an installation of sound art – the sound artists stress the importance of designing the space in a way so that the artistic idea is communicated and supported in the best way possible. This is the idea that RADAR wants to transfer to concerts and music events. The focus is to encourage bands to start thinking along these lines so that the combination of art and sound will be a natural part of the future planning of concerts. This reflection was at the very heart of the project when the Latvian-Danish collaboration was initiated. In addition to the artistic meeting between artists and music venues, the essence of the encounter was to question the traditional concert format through a discussion of the fundamental concept and the involvement of the audience. This premise suited Fabrice Praz, manager at the Latvian music venue Aristīds, and collaboration between RADAR and Aristīds was initiated. Aristīds is a music site located in the old halls of Riga Black Balsam factory, situated in the outskirts of Riga’s Central District. The place is dedicated to underground subversive art and music, situated not far from the buzzing creative district of Miera iela. Aristīds approach to the concept of concerts is slightly different from the conventional attitude and this is why collaboration with RADAR was ideal. The meeting of the two music platforms opened up for Fabrice Praz and Martin Aagaard to deliberate the concert constellation and exchange knowledge and experience. The merge of artists, music venues and practices led to a greater discussion on the concert format and its possibilities. It opened to a possibility of rethinking the entire concert concept and permitted both artists and music platforms to think outside the box of the conventional concert form and go beyond the traditional framework of the concert. As mentioned above, sound art is not a common integrated part of organizing a concert in Denmark, but it is something that RADAR wants to change. In cooperation with Danish art academies, RADAR wishes to include visual artists in implementing sound art in the setting of concerts. This is where the collaboration with the Latvian sound art festival Skaņu Mežs is crucial. Skaņu Mežs is in the absolute top of European sound art festivals. Since 2003, the festival has offered the festival goers an insight into the latest developments within modern music and alternatives to the conventional perception of the notion of culture. It is a platform for a large range of music genres and explores new languages in music and sound through its combination of concerts with exhibitions on audio-visual art as well as sound art. The initiative of collaboration between Denmark and Latvia concerning sound art has already borne its fruits. 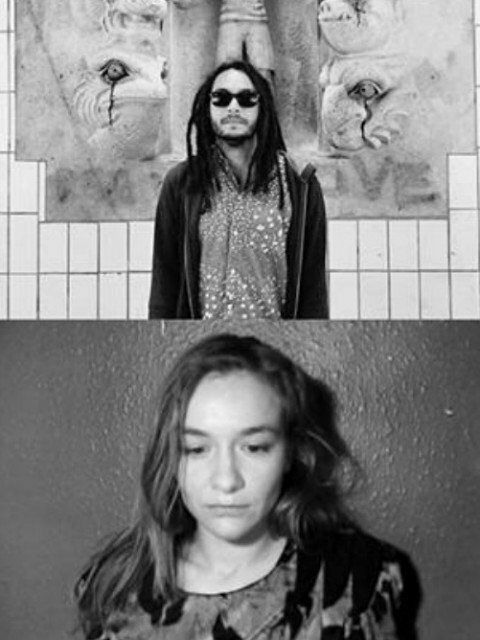 In late February 2016, three artists from Aarhus (Olga Szymula, Filip Johan Arnestad and Merlyn Silva) and three artists from Riga (Sabīne Moore, Anna Ķirse and Toms Auniņš) joined in cooperation at the music venue Aristīds in Riga. Through a two day workshop, they transformed the place into a sonic Exploratorium and joined forces in a Latvian-Danish music development. In May, the same year, the six artists met up again – this time at the premises of RADAR, in Aarhus. During another two day workshop, they composed and made music that was presented to a live audience on the 27th of May. The full-length concert can be streamed through RADARs webpage. The group will continue their cooperation with a performance at the Skaņu Mežs festival in October 2016 and the collaboration is going to culminate in June 2017 where Aarhus is European Capital of Culture 2017. The collaboration between Riga and Aarhus was initiated by the Danish Cultural Institute in Estonia, Latvia and Lithuania together with RADAR but an important factor in the execution of the project was the fact that Aarhus will be European Capital of Culture in 2017. In this regard, the close cooperation with Skaņu Mežs was, in Martin Aagaards own words “essential”. Riga was Capital of Culture in 2014 which made the exchange of knowledge and experience with Skaņu Mežs very significant to RADAR. Having a like-minded musical platform that just experienced the impact of being part of Riga 2014, was of great impact to RADAR. This insight in to what being a Capital of Culture means, was very important knowledge to RADAR regarding as to what to expect and how to prepare for Aarhus 2017. It gave knowledge of how the institutions cooperated with politicians and which impact the Capital of Culture aspect on the cultural institutions. The climax of the cooperation between the six Latvian and Danish artists aims at the Aarhus 2017 event. The peak of the – at that point – almost one and a half year collaboration is a concert in Væksthuset (“The Greenhouse”) in Aarhus. All six musicians will join in developing a sound work especially created for the giant greenhouse. After the culmination of the joint work in June 2017, Martin Aagaard is still insecure of what the future will bring for both the music venues and the artists, but he hopes that RADAR will continue to co-curate with Skaņu Mežs and that their united work will initiate a further collaboration between the six artists of RIGA X AARHUS. The artists and their individual sound can be explored here. Martin Aagaard underlines, that the sound art collaboration between Riga and Aarhus is very rewarding: “This collaboration creates links between people on so many levels”. He is surprised at the fact that cooperation like this can create so many contacts and networks as it has. The joint work between Riga and Aarhus is beneficial on especially two levels: both for the music venues and especially for the artists. For the platforms, RADAR and Skaņu Mežs, the collaboration has opened doors to an indispensable exchange of knowledge on the field of sound art and also a cross cultural exchange of practices in the two countries. It has offered a great insight into how one curates and collaborates across boarders as well as across institutional differences. For the musicians, the collaboration has also been of significant importance. 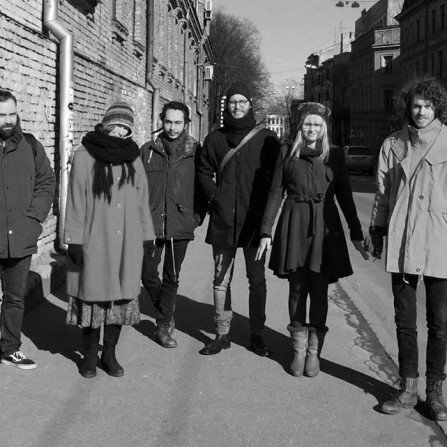 The project has built a connection between Latvian and Danish artists and it has permitted the artists to exchange creativity and knowledge in the fields of creating music and sound art. But the events have not only been fruitful in themselves but the cross-cultural interchange also worked as a stepping stone for the individual artist. The introduction to the Danish sound art platform has opened the eyes of Latvian Sabine, who is studying Visual Arts in Riga. In Latvia, there is not an education specifically pointed at sound art – as is the case in Denmark. At the Danish National Academy of Music, it is possible to do a master’s degree in Electronic Music and Sound Art and she is now looking into the possibilities of moving to Denmark to study sound art. Olga from Aarhus hopes that the cooperation with Skaņu Mežs in October will make it possible for her to tour the Baltic States and further on, after their joint event in Riga. The cooperation between Skaņu Mežs and RADAR opens up for new possibilities in both Baltic and Danish viewpoint. Sound art is a field where Latvian and Danish artists really can make use of each other’s experience and have great possibilities of exchanging their skills, methods and creativity. The collaboration between the countries has meant a greater perspective on the practice of using sound art in music culture and has opened for new views on the sound art as instrument and also in terms of other practices and approaches – both for the Latvian and the Danish part of the partnership. As elaborated in this article, it is clear that sound art really is a creative hybrid that cannot be placed in a box. This fusion of artistic approaches and branches opens up for a new conception of visual- and sonic art – and most importantly the combination of the two. This crossfield of artistic meetings between art forms opens up for a similar crossfield for cultures. The shared work on sound art opens to a field of cultural encounters and permits new collaborations to grow and open doors to new ways of knowledge sharing across frontiers, cultures and artistic fields. Sound art is a cultural eye-opener – in every sense of the word.